Specifically? It’s that scene in ‘Flesh and Stone’ where the Doctor appears in a jacket that he’d recently lost, in order to reassure Amy that she has to start trusting him. It set the internet buzzing. Many people thought it was nothing but a continuity error. Others – quite sensibly – reasoned that Doctor Who was too intricately produced to allow something so major to slip through unnoticed, and that the presence of the jacket was thus of importance. And, of course, it was, because it’s not the same Doctor: it’s a future occurrence of him, popping back through his own timeline just before he’s wiped from the universe. After ‘Flesh and Stone’, viewers were keen to see if it would happen again, and out-of-time appearances from the Doctor were apparently present throughout the series, if you look. The Face of Boe got another token nod right at the end of the third series, of course, thanks to a particularly clumsy dialogue exchange where Jack says “By the way, and as a complete non-sequitur, did I mention that when I was a model, they used to call me THE FACE OF BOE? Just thought I’d bring that up. And I’ll leave the conversation dangling right there“. In 2008 we had series four, and viewers were treated to nine episodes of “There is something on your back” (which wasn’t even true, because it’s only sitting on her back in an alternate timeline), and the cryptic “She is returning”, which presumably should have been followed by “to the dental surgeon”. Moffat has continued the run, with games of spot-Amy’s-crack forming the highlights of many blog discussions for series five, but he’s taken it one step further and left us clues that are not only there for the taking but that we’re actively encouraged to seek out and discover and talk about every week. Changing viewing habits is a part of it. In the days before video, Doctor Who couldn’t afford to run storylines that demanded a second viewing before you even understood them, let alone picked up on the details. But these days, hardly anyone watches live: in my house we’re all too busy putting the kids to bed on a Saturday. The dependence on TiVo has been exploited to its fullest potential with anything Moffat produces these days – anyone who has seen the end of the second Sherlock series will recall that it climaxes with the apparently impossible, but Moffat has insisted in post-show interviews that ‘the clues are there’, indicating that we should all go back to the DVD rips and scan through until we find them. The same thing occurs in Who, with various things that you don’t always notice first time. I, for one, did not notice the jacket until it was pointed out to me. But again, I missed Rose’s appearance in ‘The Poison Sky’, at least the first time. Perhaps I just don’t pay attention. The problem is that many of the clues are frankly silly, or obscure. 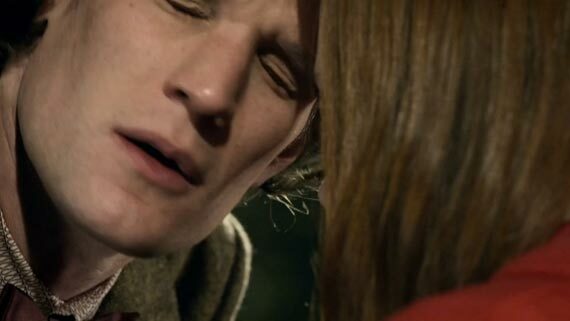 For example, at the end of ‘Night Terrors’, Amy and Rory are reunited with the Doctor, who remarks “Well, here we are again…in the flesh”. At a basic level, this refers to Amy’s transformation into a doll (and back), but given the episode’s original sequencing (it was supposed to occur in the first half of the series just before the Gangers story*) it’s almost certainly a not-so-covert reference to Amy’s abduction by The Silence. Or it could have just been a coincidence. The Silence remark that she has “been here many days” just before the Doctor rescues her in ‘Day of the Moon’, which implies that she was replaced by a Ganger Amy when she was kidnapped by them in the orphanage, and then taken back in time, but the other school of thought was that this happened earlier, before the series even started. The point is you don’t know, so you either run yourself into the ground trying to work it out, or you just dismiss the lot as unnecessary silliness and try and enjoy the show without feeling the need to concentrate on all the hints. The problem is that Moffat has written drama and actively asked us to analyse it for clues he’s inserted – often at the expense of the narrative – and the more we do so, the less sense it makes. Years ago, there was another drama that was supposedly full of ‘clues’. It was called Twin Peaks, and it did it much better, because it was a murder mystery and the clues, when they arrived, were transparent and important and discussed by the characters rather than left solely for the viewer. There was plenty going on, but there was appropriate pacing (some episodes might even have been called sedate) and – up until the time Laura’s killer was unmasked – there was consistency and momentum. On the other hand, I watched Twin Peaks in my early twenties, when I was a carefree arts student with a multitude of unfilled hours in which I could read through the alt.tv newsgroup digests and plough through the books and rewind and fast-forward through the rented VHS tapes I’d got from Blockbuster. These days, I simply don’t have the time to analyse Who to the extent that the chief writer seems to expect of his would-be-serious viewers. I just want a story. At least with Davies you knew you’d just get that, even if half the time it was dreadful. Bearing all this in mind, then, here is the opening instalment of a new series: my list of trivial things in the last two episodes THAT WILL TURN OUT TO BE IMPORTANT. Some are more trivial than others. BUT THEY WILL ALL TURN OUT TO BE IMPORTANT. Here’s a rotating ballerina from Oswin’s ‘shuttle’. As the shuttle exists in Oswin’s head, this is a particular memory that she’s retained: as such it is clearly IMPORTANT. 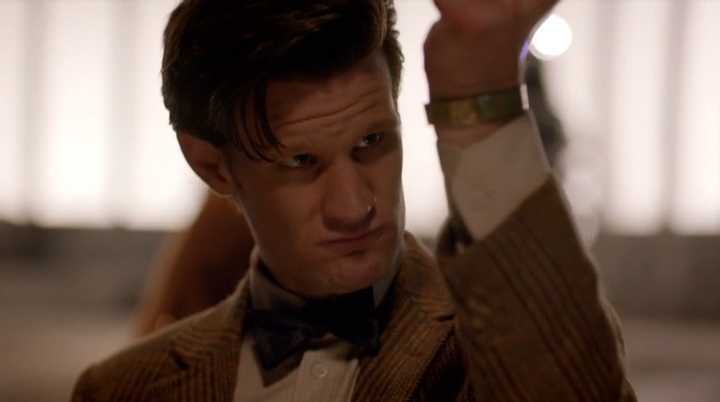 Presumably when the Doctor meets Clara, when he travels back to Victorian London, she will turn out to be a ballerina. Right, here’s Amy. In a photoshoot. With the word ‘HATE’ written on one hand. She has ‘LOVE’ written on the other, but it’s the ‘HATE’ we see first. A recurring theme of this series will thus be the Doctor wrestling with his capacity to forgive and redeem versus his ability to destroy without remorse, as epitomised in the closing scenes of ‘Dinosaurs’ where he leaves Solomon to a grisly, missile-up-the-arse fate. Also note that Amy has hair that looks a bit like River Song. This cannot be a coincidence. Ah. Oswin. And notice what looks like a red flower in her hair. This is clearly significant. Perhaps when the Doctor eventually encounters Clara, she won’t be a ballerina but will be a simple flower-seller who dreams of becoming a ballerina. And I’m no horticulturalist, but doesn’t that flower look rather like a Rose….? Finally, here’s the Doctor looking at his watch. This is clearly IMPORTANT as he’s obviously waiting for a past occurrence of himself that he knows is already there to finish some kind of technical trickery behind the scenes elsewhere in the Parliament. Here’s that broken light. It’s not the bulb. It might be the fitting. But it is clearly IMPORTANT that this light is broken. What did the Weeping Angels do in ‘Blink’ when they wanted to cross the cellar? That’s right, they turned out the lights. Just you wait. You’ll see. Brian and his balls. 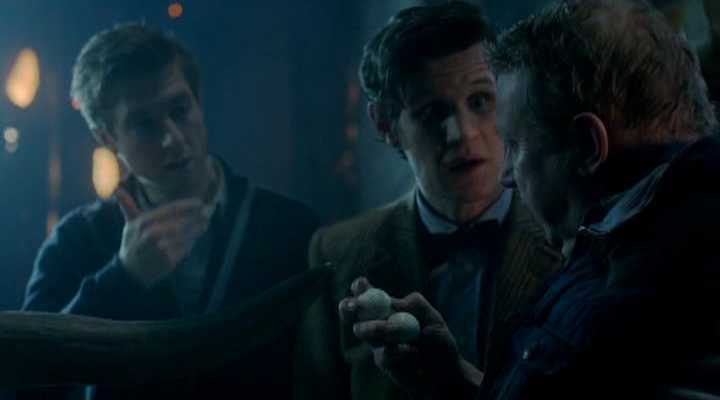 He has two golf balls, and we are led to believe that this is so that Chris Chibnall can make a silly joke. But it is obviously significant that he only loses one of them. That second golf ball is going to turn up later in the series at a crucial moment, probably when Rory has had all knowledge of his father wiped from his brain before finding the ball in his pocket, at which point the light bulb will come on – or at least the one in his head. Queen Nefertiti. Notice that she is wearing headgear that LOOKS A BIT LIKE THE TARDIS. We know that she and Riddell will turn up in a crowd-pleasing walk-on later in the series when the Doctor presumably assembles another band of people we don’t really know in order to do something dazzling, but there’s more to it than that. Could she be another incarnation of the Rani? Postcards from Brian. 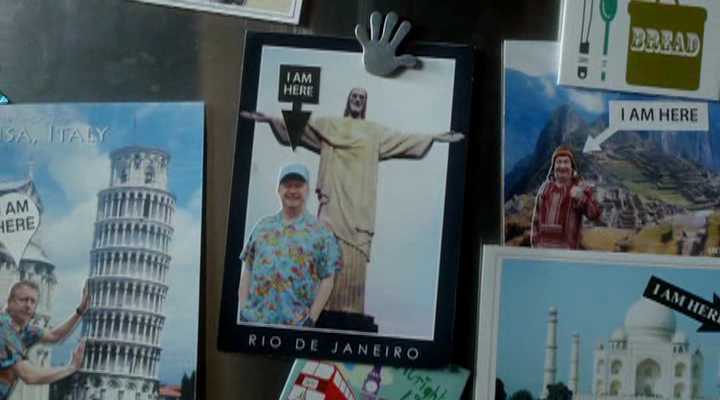 Note the one in Rio. WITH A STATUE. * Apparently this was done to improve sequencing. ‘Night Terrors’ was considered too similar to ‘Curse of the Black Spot’ in the first half, presumably owing to the fact that as Gareth pointed out, the pirate story has people who are seemingly killed when dragged off somewhere else, in which we think “Oh no!” when Amy and Rory ‘die’, and which ends with a dreary father and son scene. 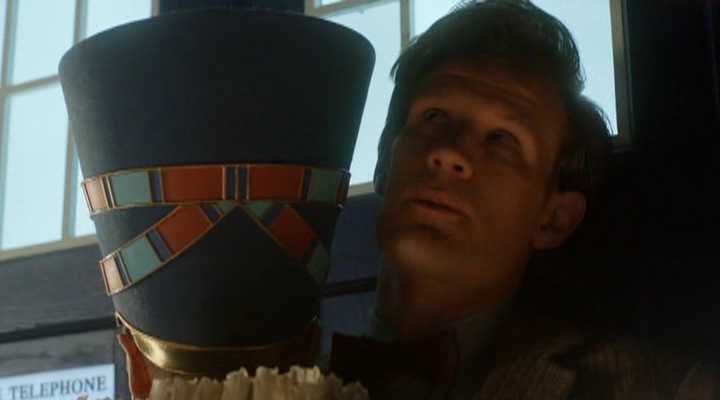 So they moved it next to ‘Let’s Kill Hitler’, in which Amy and Rory are miniaturised and menaced by automaton creatures, the Doctor resolves a few parent-child issues and a nasty thing gets shut in the wardrobe. Fantastic! I always enjoy your posts, but this one in particular was a fun read, with lots of good points. Keep up the good work!